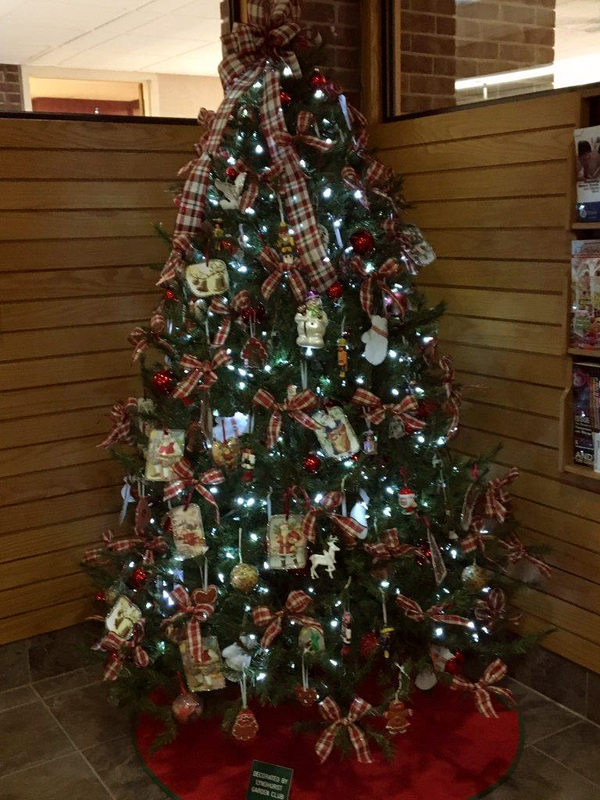 Special Thanks to the Lyndhurst Garden Club for Decorating our 2015 Christmas Tree! A list of Local Organizations which include contact names and phone numbers. This list has been added to the Lyndhurst City Website permanently and will be kept up-to-date for those of you looking for a quick directory of all Local Organizations. Lyndhurst Garden Club Presents What is Going on at Acacia Metroparks? The Cuyahoga County Board of Elections is hiring Election Night Assistants. These jobs pay between 45 and 65 dollars for one evening of work. If you wish to apply please contact Anthony B. at (216) 443-3232 Ext 7303. The City of Lyndhurst, Ohio official Trick-or-Treat date for Halloween 2015 is October 31st 2015 from 6:00 PM to 8:00 PM. Looking forward to seeing all of our ghosts and goblins out there. Wishing you and yours and happy and safe Halloween 2015! City of Lyndhurst 14th Annual Children�s Halloween Party. Designed for ghosts and goblins 8 and under. Friday, October 23rd 2015 from 6:00 PM - 8:30 PM at the Lyndhurst Community Center. Tickets available now. Bring the entire family and join us for the 2015 Lyndhurst Home Days Celebration! Festivities begin Friday, September 11th at 5:00 PM! The games, the food, the fun, the family, dancing, parade, you name it, we've got it! Check out the Full Story for complete event information. See you there! What: Mobile Farmers� Markets. When: Tuesday, August 11th 2015 from 10:00 AM to 12:00 Noon and Tuesday, September 8th 2015 from 10:00 AM to 12:00 Noon. Where: Lyndhurst Community Center, Rae Road Parking Lot. Helmet fittings are on Tuesdays and Thursdays by appointment only. Please call Melissa at (440) 449-5011 to schedule. Children must be at least 24 months old. We will also be fitting helmets at Legacy Village's Annual "Kid's Village" on Sunday, July 12th 2015. The City of Lyndhurst, Ohio will offer the below equipment for sale by internet auction on the World Wide Web @ ebay.com/motors and @ ebay.com. Bidding will commence on Tuesday, August 18th 2015 at 9:00 AM PDT and will continue for a duration of 10 days. Please be advised that as of August 3, 2015 all City of Lyndhurst, Ohio Council Meetings will now start at 7:30 PM. This is a permanent time change outlined within Ordinance Number 2015-58, passed on August 3, 2015. Thank you. Please be advised that the City of Lyndhurst, Ohio Council Meeting scheduled for August 3rd 2015 will start at 7:00 PM, and not 8:00 PM as previous meetings have taken place. The City of Lyndhurst, Ohio will offer the below equipment for sale by internet auction on the World Wide Web @ ebay.com/motors and @ ebay.com. Bidding will commence on Tuesday, July 21st 2015 at 9:00 AM PDT and will continue for a duration of 10 days. The Cuyahoga County Solid Waste District is now accepting applications for the third class of the Master Recycler Program of Cuyahoga County. The lecture and tour series for Cuyahoga County residents, business representatives, and college . . .
2015 Pool Dates: The City of Lyndhurst, Ohio Pool opens Saturday, June 6th 2015 at 12:00 PM. The City of Lyndhurst, Ohio 2015 Pool Season ends on Monday, September 7th 2015 at 5:00 PM. 2015 Pool Pass Sales: City of Lyndhurst, Ohio Pool Passes for 2015 . . .
Home Repair Resource Center to "Celebrate Seniors"
On behalf of the Lyndhurst Lifesavers, our Hillcrest area Relay For Life team, I would like thank all those who helped make our "Breakfast with the Bunny" fundraiser a success. Whether you cooked, set / cleared tables, or just came to eat ... Thank You! With your support, we were able to raise almost $700.00 for the American Cancer Society. Money that will be used for patient and . . .
Hillcrest Kiwanis Presents Irving Berlin by Henry Kurdziel, retired Superintendent SEL Schools. March 30th 2015 from 7:00 PM to 9:00 PM. Includes piano recital, coffee & desserts. Free and open to the public. Register for Spring Soccer Ages 3-13. Registration Deadline: March 31st 2015. Games Start: April 18th 2015. All Local Communities Welcome! Visit SELSC.org today! Please save the date and join us for Breakfast With The Bunny! Enjoy a wonderful Pancake Breakfast along with other a la carte items. Visit the Easter Bunny. Our Bunny will be available for pictures. Great fun for kids and adults too! $6.00 Aadults. $4.00 Kids and Seniors. Tickets sold at the door. Hope to see you there! What: Women in History: Margaret "Molly" Tobin Brown. Date: 3/23/2015. Start Time: 7:00 PM. End Time: 8:15 PM. Location: South Euclid-Lyndhurst Library, Meeting Room (Great Hall). Description: Actress Anne McEvoy portrays Titanic survivor and a woman who was determined to break the rules of "high society." Join us for Community Shredding Day on Saturday, May 2nd 2015 from 11:30 AM to 3:30 PM at the Service Department. Please be sure to bring proof of residency. Hillcrest YMCA Presents New Year, New You!